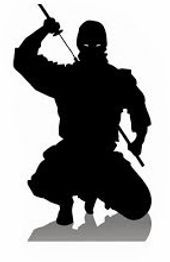 Follow the wisdom of "the Ninja Chauffeur" on the blog written because mercenaries and spies for hire cannot be detected by the untrained warrior. The Ninja Chauffeur figures prominently in the folklore and legend of great Chicago ninja drivers, and as a result, it is often difficult to separate historical fact from myth. Some legendary abilities purported to be in the province of ninja training include invisibility, walking on water, avoiding traffic mayhem, speed traps and control over the natural flight delays of Chicago's airports during bad weather! Read the journey of "Being In Chicago....."
The Ninja Chauffeur will return soon! Watch for him on social media!